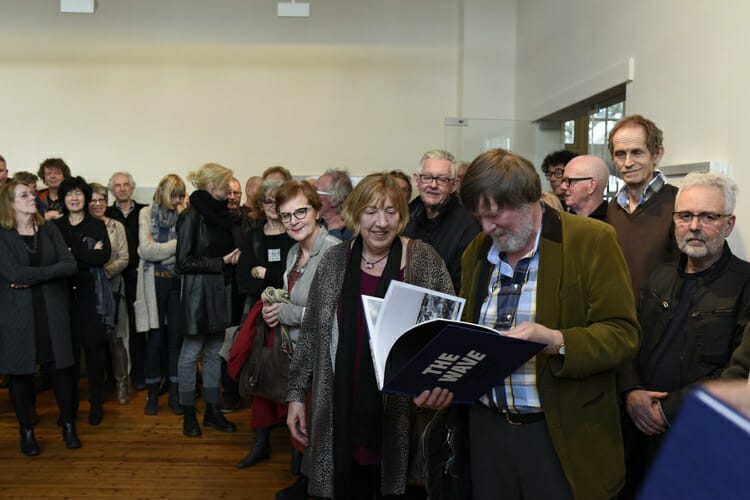 On Sunday, March 6th Dolph Kessler’s new photobok “The Wave Crossing the Atlantic”was presented at Gallery Hoogenbosch in Gorredijk (Netherlands). Three painters also participated in the exhibition. The turnout was great. The first copy was handed over to Gerrit Jan Zwier, writer and journalist who accompanied me on both long sea voyages. The first books were sold. There are still 475 to go …….